Canada Promissory Notes. Legally Binding. 100% Guarantee. Demand Loan Agreement (Canada) Loan Agreement between Lender and Borrower providing for payment on demand by Lender. Promissory Note - Demand w/ Fixed Interest (Canada) Promissory Note requiring that the principal and any interest is to be paid on demand. Promissory Note - Demand w/ No Interest (Canada) Promissory Note requiring that the loan amount is to be paid on demand. Promissory Note - Demand w/ Variable Interest (Canada) Promissory Note requiring that the principal and any interest is to be paid on demand. Promissory Note - Fixed Term w/ Amortized Payments (Canada) Promissory Installment Note requiring that the principal and any interest is to be paid in monthly payments. Promissory Note - Fixed Term w/ Fixed Interest (Canada) Promissory Term Note requiring that the principal and any interest is to be paid on a specific date. Promissory Note - Fixed Term w/ No Interest (Canada) Promissory Note requiring that the principal is to be paid on a specific date. Promissory Note - Fixed Term w/ Variable Interest (Canada) Promissory Term Note requiring that the principal to be paid on a specific date (interest will be repaid monthly). 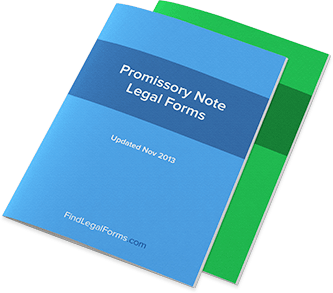 Promissory Note - Term w/ Joint & Several Liability (Canada) Promissory Term Note requiring that the principal and any interest is to be paid on a specific date.